With Barry K and Steve P on duty, today saw climbs available from the very first launch. 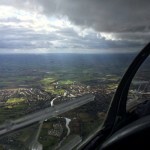 Plenty of embedded Cu to play with and at one point we had all of the two seaters aloft plus the Junior. Speaking of which, we’ve now rigged the club K21 and several pilots have had refreshers on it including cable breaks (even if they didn’t want them). 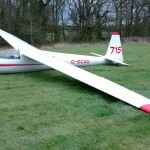 A privateer syndicate rigged their Ka6E, the gorgeous 715. 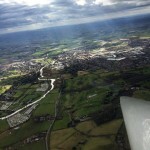 The lift reliability wasn’t good enough across the local area to task so club and syndicate aircraft stayed close to home. Some good climbs were achieved and durations of up to 43mins although we set a limit on the club ships of 30mins to get everyone flown. Not sure the 4 line launchpoint will ever catch on. In spite of a broken cable for a while, we achieved 32 launches with Tony M heroically driving the winch without relief for most of the afternoon. The day ended with both the field roller and the winch getting stuck in the soft ground. 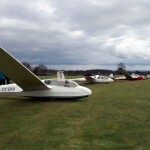 Many of the day’s pilots retired to the Navigation Inn, Wootton Wawen for dinner. 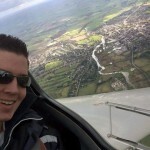 This entry was posted in Flying reports and tagged flying report, soaring by admin. Bookmark the permalink.